Strawberry bush (Euonymus americanus) of the Bittersweet (Celastraceae) family is also known as hearts-a-bursting-with-love, bursting-heart and brook euonymus. 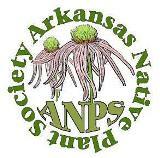 It is found in the eastern U.S. from Texas to Illinois to New York and south to the borders, including throughout most of Arkansas. Its natural habitat has moderately moist soil and partial shade, such as along streams and rivers and in open woods. The genus name relates to the spindle tree of Europe which is noted for its useful wood, but is also poisonous; thus, named for mother of the Furies (Euonyme) of Greek mythology. The common names are descriptive of the fruit or habitat. Strawberry bush is a deciduous, upright shrub with open structure and dark green stems that can grow 6 to 8 feet tall. The plant has a compact shape with straight new and old growth while internal branches are arched. New stems are 4-sided and twist almost 90 degrees from one pair of leaves to the next. The twisted 4-sided stems become straight and round during the next year’s growth. Opposite branches and twigs are smooth and dark green while older main trunks become marbled with brown as trunks enlarge. New plants are naturally established by rooting of low branches in duff, rooting of unbranched near-ground off-shoots, and from seed. Thickets may form. Opposite, lanceolate to ovate leaves vary from entire to serrate. Serrations are crinkled. Leaves, on short petioles, are slightly leathery to papery and are up to 3 inches long and 1 inch wide. Adaxial (upper) leaf surface is a dark green, same as stems, while abaxial (lower) surface is lighter green. In fall, leaves change to light green and then to white. Inflorescences, in mid-May, grow from leaf axils of current year’s growth. Thin, weak peduncles, growing to about one inch long, support one to three round, somewhat convex flowers which lie directly on subtending leaves. Flowers, in pale shades of white, green and pink, are about 1/3 inch in diameter. Flowers have a conspicuous domed center surrounded by five ovate petals. Five stamens around the edge of the dome and a pistil at the center protrude a short distance above the domed center. Five short. broadly rounded, joined sepals are mostly hidden behind petals. With fertilization, petals fall and the ovary enlarges to protrude above what was the domed center as the center retracts behind the ovary to form a small circular, indented space about the pedicel. Photo 1: In mid-May, axillary flower clusters of strawberry bush are in bloom. Peduncles bear one to three flowers. Photo 2: Coloration of flowers is subtle. Note protruding stamens (red arrow) and pistils (green centers). Lighter colored area immediately around pistils outlines the ovaries. Immature seeds (ovules) develop within a green, rounded, and muricated (covered with short, sharp points) fruit that matures as a red, half-inch-diameter capsule by mid fall. Capsules typically have five chambers. With full maturity, the red capsules split at each mid-chamber and open wide so that enclosed seeds with smooth, bright orange-red coverings (arils) are left dangling from short fibers. With age, open capsules become brown, while seeds remain dangling and brightly colored. By the time capsules become black, most seeds have been removed or dropped off. Each seed is up to ¼ inch long and bean-shaped. Photo 3: In mid-June, green muricated capsules are present. Remnants of domed center (red arrow) can be seen below one capsule. Photo 4: First-year twigs are four-sided and twisted (white arrow). Remnants of domed center of flower form an indented space at base of capsule (yellow arrow). Characteristics of leaves, stem, fruit and seed are shown. For deer-free gardens or natural areas with dependable soil moisture and partial shade, strawberry bush is a great ornamental, shade-loving shrub. Noted for its fall color (dark green branches, red fruit and seeds, and whitish leaves), it also has nice presence year-round. Plants can be started from seed or by transplanting rooted branches or off-shoots. The plant is a favorite forage species for deer. Seeds are considered poisonous to humans. 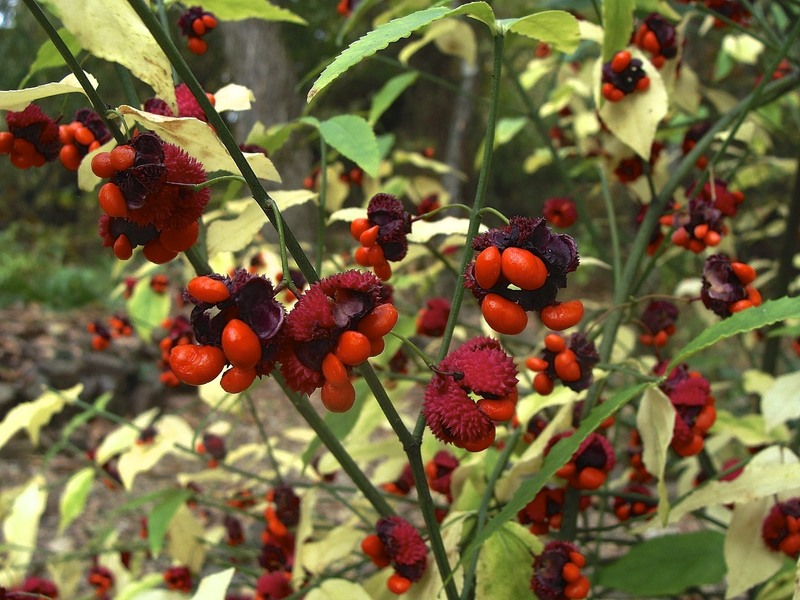 Photo 5: Strawberry bush is showy in fall with great color and textural variety. 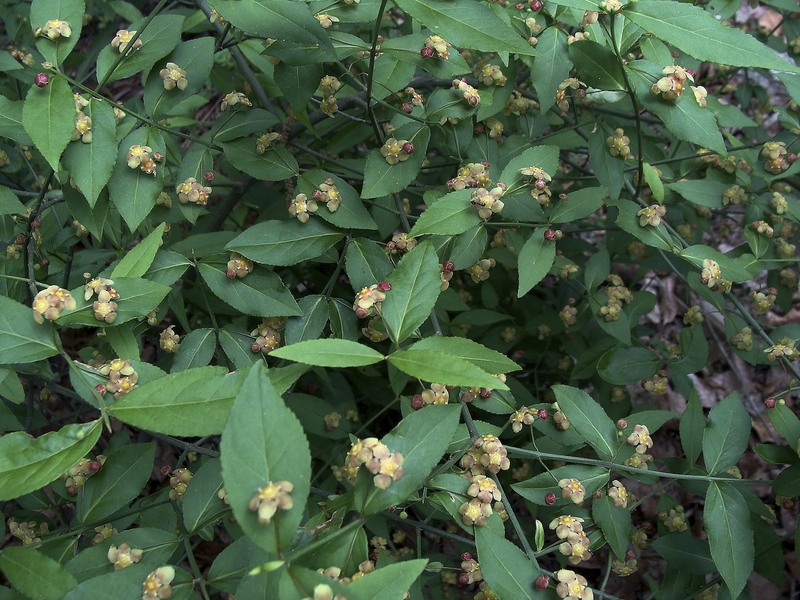 Two other native species of the genus occur in Arkansas, namely wahoo or burning bush (Euonymus atropurpureus) and running strawberry bush (Euonymus obovatus). 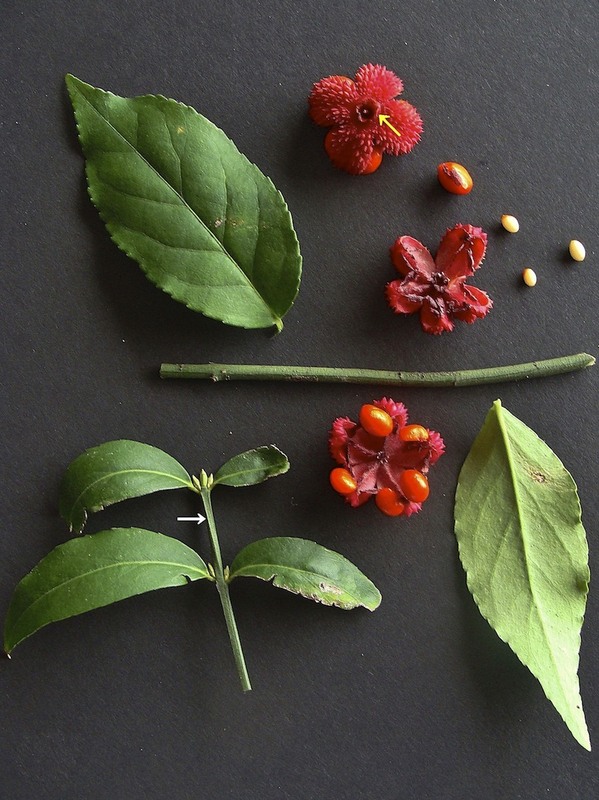 In comparison to strawberry bush, wahoo has larger leaves, larger stature, longer peduncles with more flowers that are purple and four-petaled, and smooth pinkish-purple capsules. Also in comparison to strawberry bush, running strawberry bush differs in that it has trailing stems and leaves that are broadest above the middle (obovate). 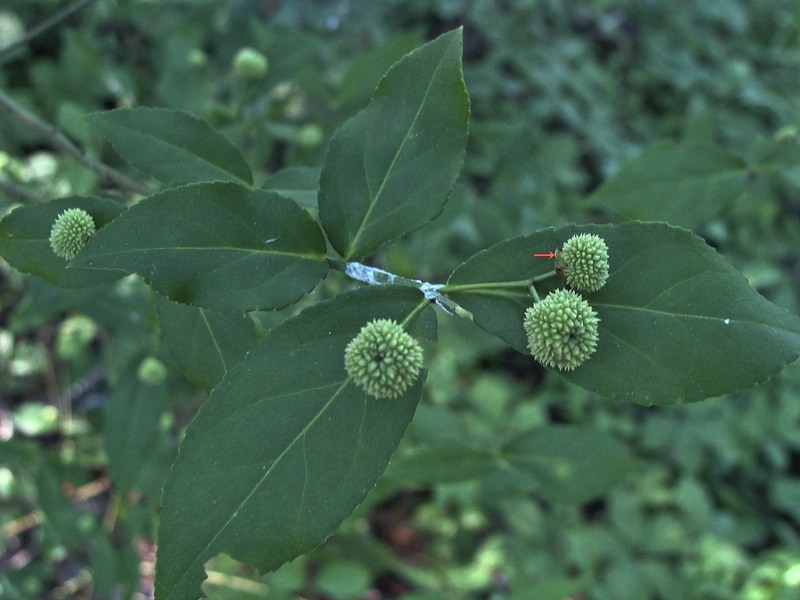 Two non-native, invasive species known to escape in Arkansas are winged euonymus or burning bush (Euonymus alatus), with its distinctive squared and usually winged stems; and winter creeper (Euonymus fortunei), a tree-climbing vine. 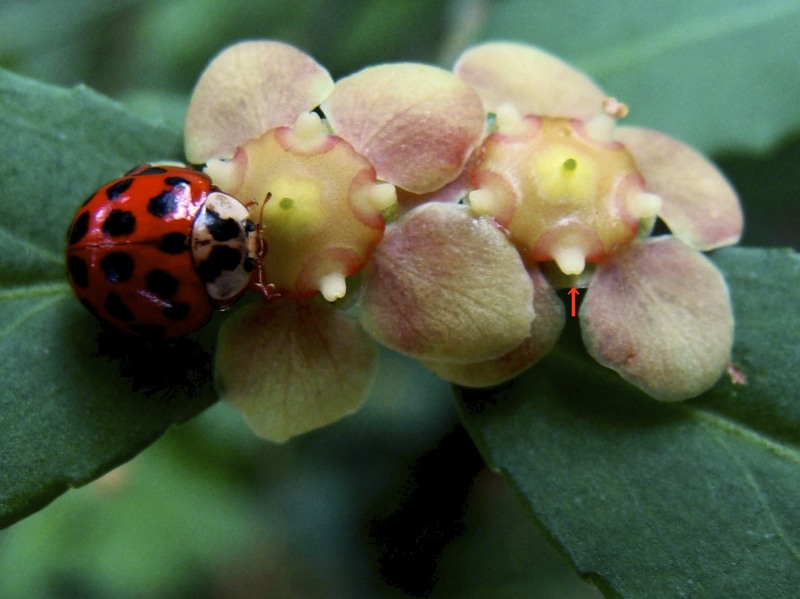 This entry was posted in Know Your Natives, Native Plants, Wildflowers and tagged Celastraceae, Euonymus, Euonymus americanus, Know Your Natives, Strawberry Bush. Bookmark the permalink.